Tomorrow is the preview of the cantata! The preview performance will be held at 250 Main St., Marlborough, MA at 6 PM. Feel free to stop by even if you are not a resident. Also, don’t forget the formal performance will be at the First Baptist Building at 22 Mechanic St., Marlborough, MA at 7 PM on December 22. There will be a church council meeting on Monday, December 10 at 7 PM at the First Baptist Building after the Christmas Cantata Preview Performance. 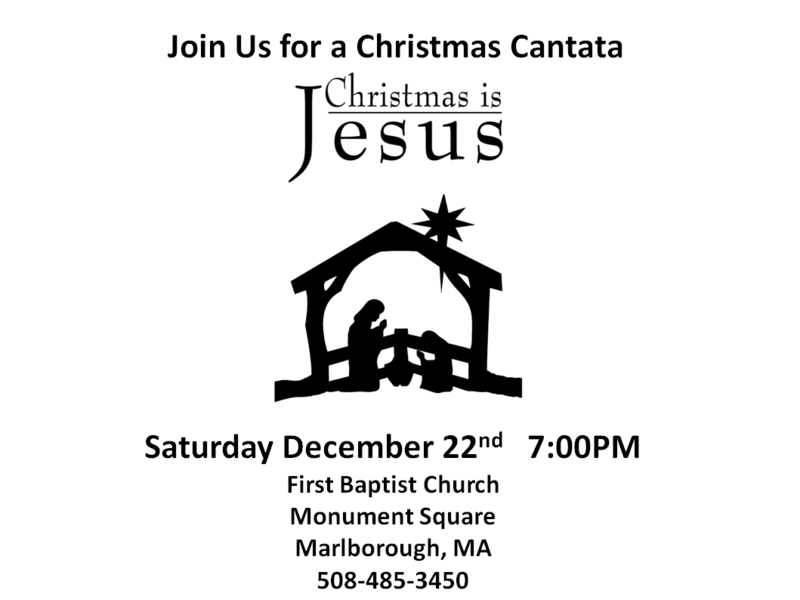 This entry was posted in Announcements on December 9, 2012 by firstbaptistchurchofmarlborough. Count down to Christmas! This year, First Baptist will be hosting a Christmas Cantata for all the public! It will be happening on December 22, 2012 at the First Baptist Building (22 Mechanic Street, Marlborough, MA) at 7 PM. Come at any time to enjoy some great Christmas music! Below are some handouts you can spread around along with some Christmas joy! 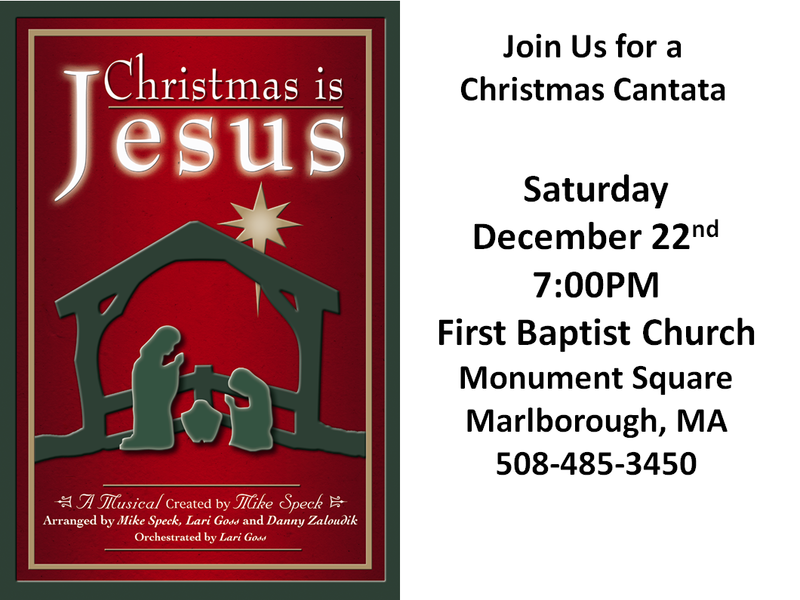 This entry was posted in Announcements on December 2, 2012 by firstbaptistchurchofmarlborough. As we continue the short story of how God was going to bring devastation yet healing to a small nation, we realize there are many parallels in our own lives as well. As the passage starts with an analogy of a relationship between parent and child so familiar to many of us, so God expresses His love for His children of Israel through deserved discipline and sadness at Israel’s choices. Taking this as an example of God’s love, how are we to react as God’s newly adopted children through Christ? This entry was posted in Sermons and tagged Hosea on December 2, 2012 by firstbaptistchurchofmarlborough.